Darrin had commented on a Facebook post I was following from a mutual friend and he had a fairly profound statement that intrigued me. I then took a look at his profile and really enjoyed many of his posts. He is philosophical, down-to-earth, thoughtful, thought-provoking, and authentic. I sent him a friend request on Facebook and started interacting with him on several of his posts. Darrin had shared his desire to be on Periscope and I was fortunate enough to catch his first episode. 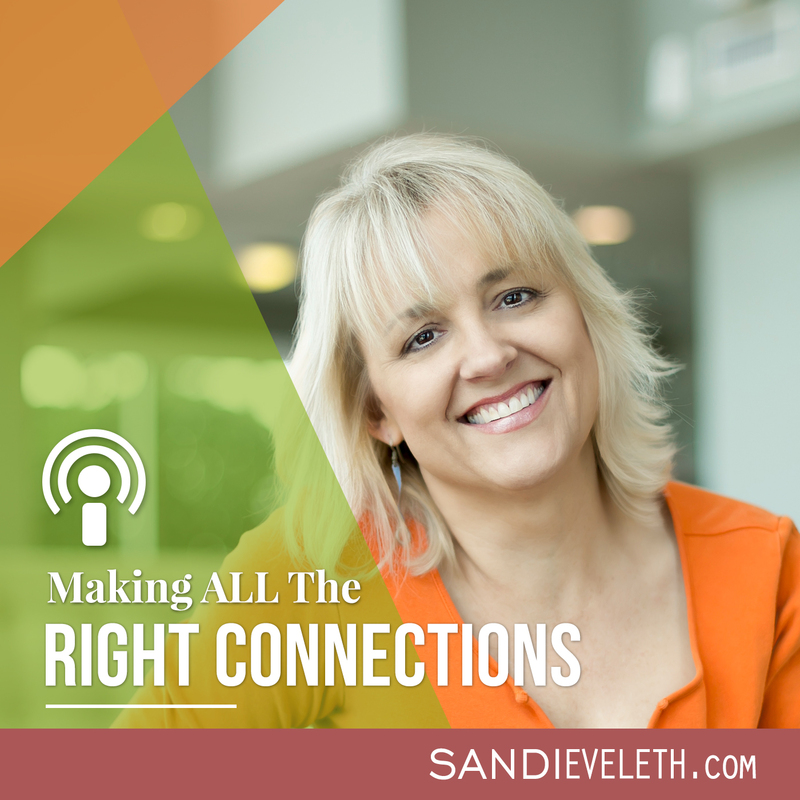 After listening to his message about believing in yourself and having the belief that you WILL connect with anyone you want, no matter how unreachable he or she may be, I reached out and asked Darrin to be on my show. Without hesitation he said “yes”. He also promised and then came through with his promise to watch my first periscope episode (you’ll hear us discuss scheduling my first periscope episode, which I DID launch it the day I mention! Thanks, Darrin). I now consider Darrin a true friend and colleague in the podcasting industry. Darrin has a great story to tell (check out his first podcast episode here) about how he left his job of almost 25 years on Wall Street to pursue his dream and has never looked back. 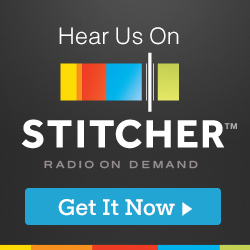 He has had some of the most influencial guests in the online marketing and business industry on his podcast. You will have to check it out here. When trying to connect with the big influencers in your industry, first start with influencers that may be on the “B list”, those that may not be quite as well known, but that have relevant content that delivers high quality value for your audience or customers. Make sure your influencers ARE relevant and have the highest quality content that makes sense for your audience. Always think about what’s best for your audience. Add your influencers’ interviews, connections, and/or testimonials to your website – this gives you credibility, especially as you acquire more important and well-known influencers to your list of connections. Attend events in your audiences’ and influencers’ industry. You may meet people that become lifelong friends. When connecting with the “A list” influencers, make sure you are offering them value and it is often in the form of helping them promote their products or services. When trying to connect with others via social media, really get to know them and make sure you are engaging with them, and not just trying to get something FROM them. Make the effort to add value to whatever it is they are trying to accomplish. 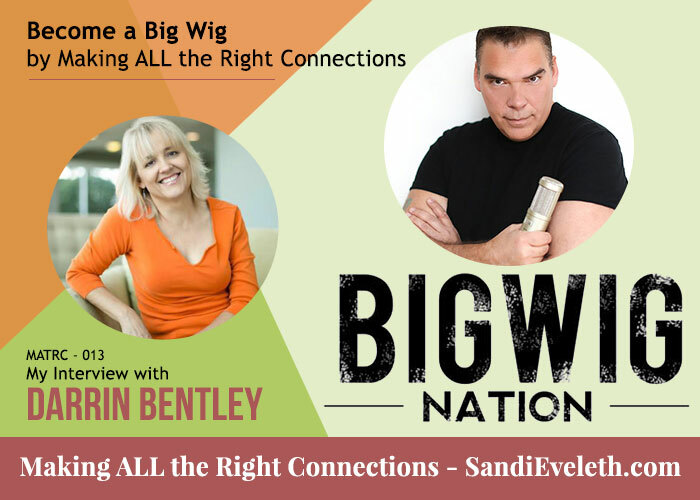 BigWigNation.com – Darrin’s podcasting and coaching website. Darrin on Facebook – this is Darrin’s regular Facebook account. He’d love to connect with you there. @Darrin_Bentley – Darrin on Twitter and Periscope. Jab, Jab, Jab, Right Hook: How to Tell Your Story in a Noisy Social World – one of my favorite books by Gary Vaynerchuk. Social Media Marketing World – A great event for meeting Influencers in the Online Marketing world. Also a great event to meet like-minded people. Mark Cuban – I do believe Darrin will have him on his show one day. They have already connected briefly. Richard Branson – I also believe he will grace Darrin with his presence! Tony Teegarden – Another of my guests and new friends that does an amazing job at engaging on Facebook with deep, thoughtful posts.